People who live in glass houses…are really lucky. 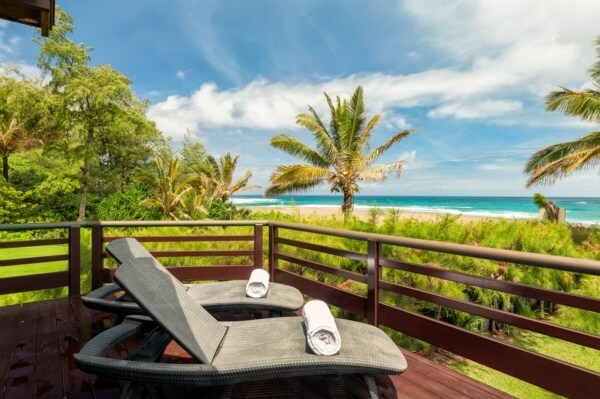 Check the surf from your deck, or wander across the sand to the azure waters of your own swimming beach. 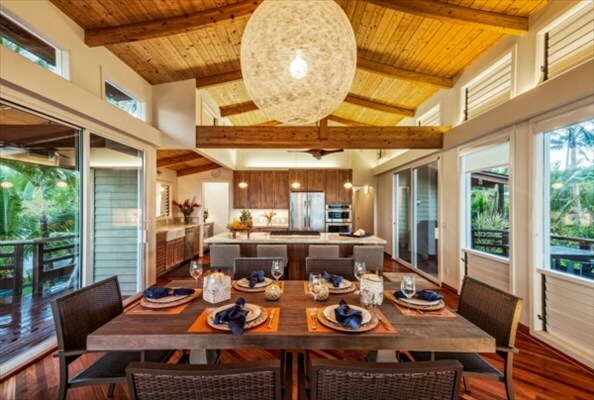 Every angle is the right one in this stunning home, a first place award winner in HGTV’s Ultimate House Hunt 2015. And it’s easy to see why. The great room, designed like the prow of a ship, frames infinite blue horizons. 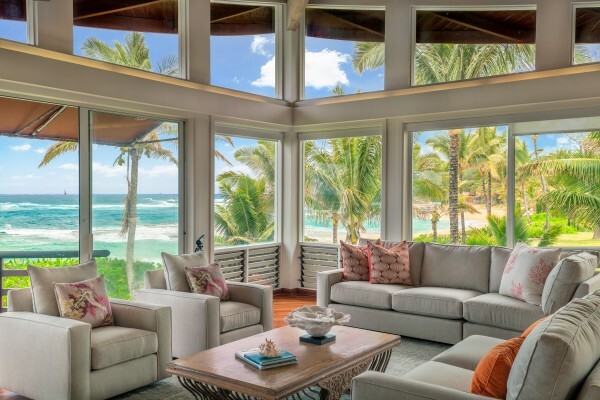 Walls of glass allow the outdoors in, while over 1,200 square feet of exterior deck and lanai invite you to enjoy spectacular ocean, mountain, and waterfall views. 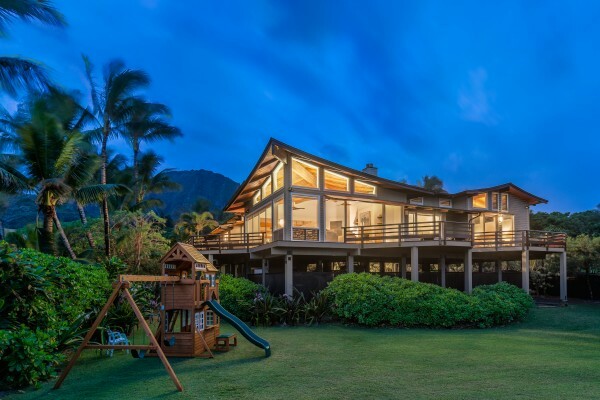 Nestled behind private gates on nearly a half acre beachfront parcel — with famed Tunnels lagoon at your doorstep — you can be as active or relaxed as you want to be. 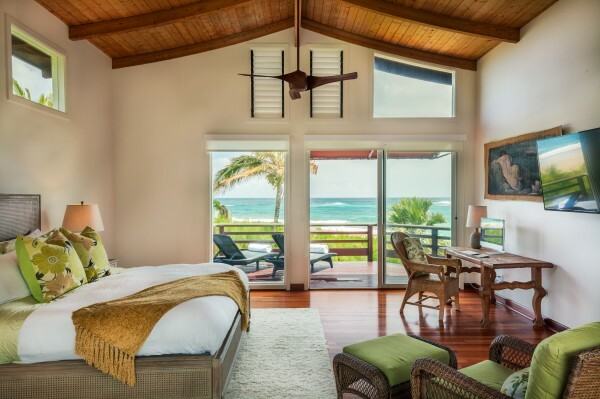 When you’re not swimming, surfing, sailing — or lounging under the shade of an ironwood tree — you’ll enjoy high end features such as rich Brazilian cherry wood floors, teak cabinetry, quartz countertops, vaulted ceilings, a sandstone fireplace, and a spa-like bath. The Dow may go up and down, but the pleasures here are eternal. Breathe deeply as your heartbeat slows to the rhythm of the waves lapping the shore. Marvel at a gilded sunset — and when the moon rises over Bali Hai…the ocean, shimmering with reflected starlight. Few are privileged to live in such special places. For more information, visit our website. Offered at $5,875,000 FS.